For better or worse, the effects of the Vietnam War are still being felt today. As part of WNED|WBFO’s “Our Vietnam Voices” series, Avery Schneider takes a look at a special program in the Western New York court system that – thanks to the influence of Vietnam veterans – helps others who served put their lives on a better path. In downtown Buffalo, Judge Robert Russell has presided over the city’s specialized treatment courts for drugs and mental health for more than two decades. But in 2006, he saw the need to focus on another group. One case, in particular, stood out. A veteran of the Vietnam War who appeared in Russell’s mental health treatment court wasn’t showing signs of progress, so Russell reached out for some help. He asked his court coordinator and the county’s Director of Medicaid – both Vietnam Veterans – to speak with the man. U.S. Marine Corps Vietnam Veteran Patrick Welch recalled, “The next time he came back into court, he walked into the court, went to parade rest, stuck his chest out, looked the judge directly in the eye, and every question was answered with, ‘Yes sir, yes sir, and I'm going to do everything I need to do to get better, sir.’"
Welch said while the swift change was a welcome surprise, what the two veterans did to effect it was simple. The man was connected to others who had served in Vietnam through the Veterans Administration, where he found more people willing to help. And with that initial success, Judge Russell realized there was more that could be done to help other veterans regain stability in their lives. “It was very much a light bulb moment," said Russell. American culture and the public’s admiration for veterans today is far from what it was during the Vietnam War and the years that followed. While today’s service members are greeted with appreciation, those who returned from Vietnam were met with scorn and isolation. But it’s that shared hardship that Russell sees driving them to support each other now. 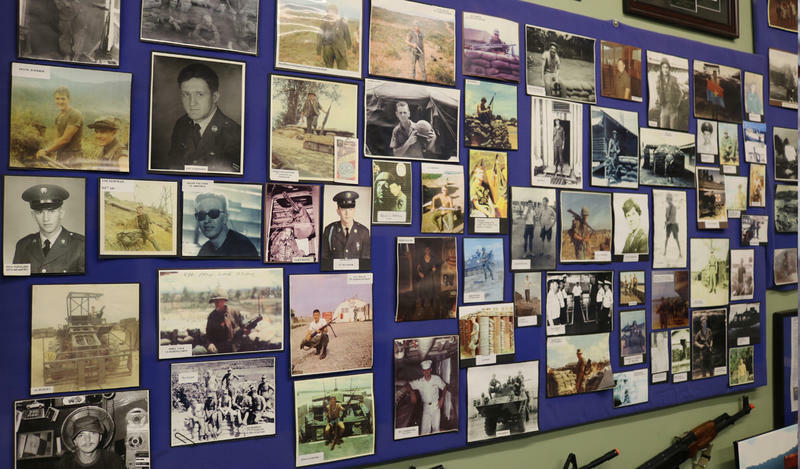 Mentors from all U.S. military conflicts since the 1960s volunteer in the court, but Vietnam Veterans have been seen as critical to its success. Among the challenges they face in helping those in trouble is the attitude often found within military culture. Welch pointed out what he believes is an irrefutable fact: “No one, absolutely no one, goes to war and ever returns the same person.” It’s a statement he said no one can challenge him on, and the basis for the idea that to succeed, veterans courts have to look at ways of providing treatment. “If they are in need, they need someone to talk to, they're at a point where they're breaking and maybe they're looking to relapse, that they can reach out to and call and I or my fellow mentors will meet with them for coffee, meet with them and take them to a baseball game, take them to a hockey game, do whatever we need to do to help them get over that feeling of hopelessness, of ‘nobody cares,’ and help them become successful people who complete their programs,” said Welch. 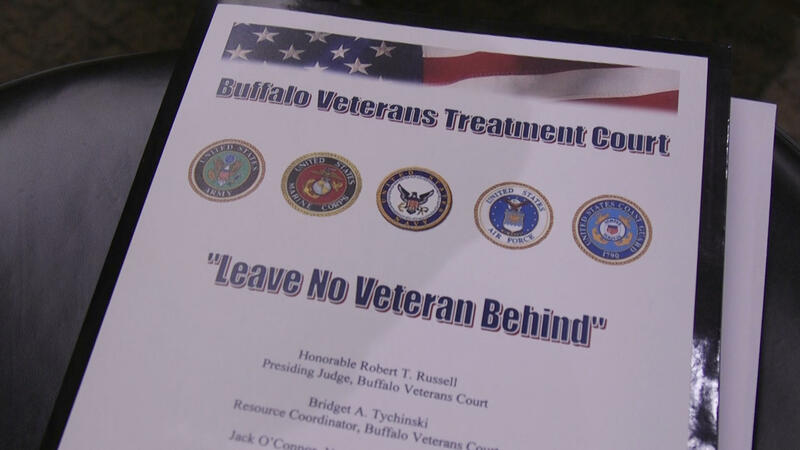 Since its inception, the Buffalo Veterans Treatment Court has inspired the creation of 350 more like it across the country. In the last year alone, they’ve kept 15,000 veterans from incarceration and put them into treatment for mental health and substance abuse issues. According to Welch, the nationwide recidivism rate among veterans in treatment courts is just 10 percent. "Welcome home and thank you. Thank you for what you do for our country now and for your fellow veterans." You can hear more about this epic period in American history in the landmark documentary premiere of "The Vietnam War: A Film by Ken Burns and Lynn Novick." The series begins Sunday, September 17 at 8 p.m. on WNED-TV. For more stories of local Vietnam veterans, visit WNED.org to watch the Our Vietnam Voices series. There, you can share your own story and join the conversation using the hashtag #VietnamStoriesPBS. Most people have heard of PTSD. Post-traumatic stress disorder is a mental health problem that can develop after witnessing a life-threatening event. Lesser known is PTG. While recording the oral histories of local Vietnam War veterans, a University at Buffalo researcher found that post-traumatic growth can exist at the same time as PTSD. Marian Hetherly explains as part of WNED|WBFO's "Our Vietnam Voices" series. Our Vietnam Voices: Born in Canada, but he fought for the U.S. While thousands of men left the U.S. for Canada to avoid military service during the Vietnam War, many Canadian men came to America to do just the opposite. As part of WNED|WBFO's "Our Vietnam Voices" series, we bring you the story of one such Canadian who took up arms for the United States. 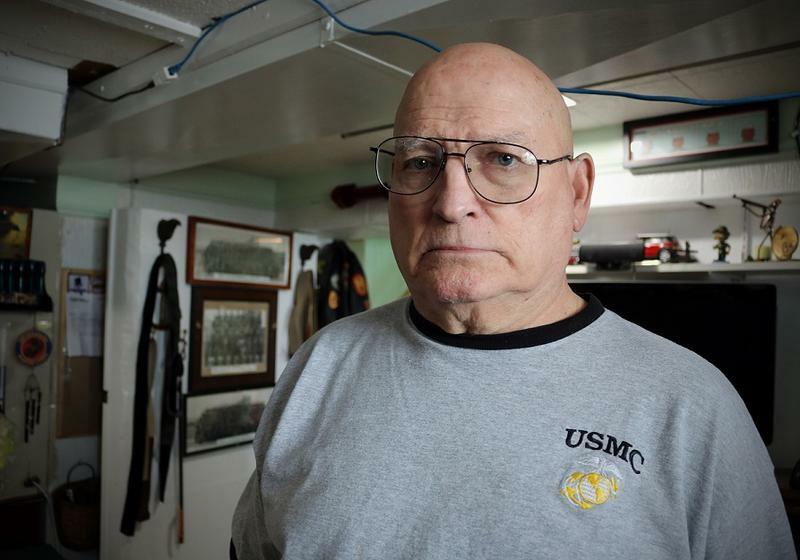 WBFO's Michael Mroziak reports on Dominic Bilotta, a Canadian-born veteran of the Vietnam War, who fought as a member of the United States Marines.